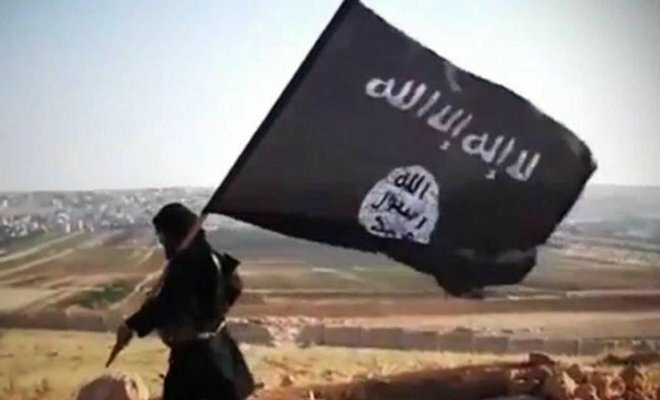 Cairo- A number of tribesmen in Egypt’s Sinai region revolted on Thursday against ISIS and started collaborating with the Egyptian Army to regroup ahead of launching a significant qualitative operation against the terrorist organization. Local sources in Sinai said the tribesmen’s decision came after ISIS militants killed on Wednesday 13 members of the Tarabin tribe, one of the largest in northern Sinai. Security sources had announced that 13 Egyptians were killed and two others were missing in a military attack launched by ISIS jihadists against local tribesmen in the south of the border town of Rafah. The sources said that the terrorist organization had staged an ambush against men from the Tarabin tribe, using a military vehicle, which they stole from the Army. The local tribesmen thought the vehicle was safe; therefore they did not deal with it. Tribesmen sources told Asharq Al-Awsat on Thursday that armed men from the Tarabin tribe were gearing up to respond to the latest ISIS attack. “Currently, the tribal union and the Egyptian Army are sieging one of ISIS’ nests in the area,” the sources said. In recent years, Egyptian authorities fought a fierce battle against ISIS militants in North Sinai. Hundreds were killed from both sides. But, in the past few weeks, members of Sinai’s powerful tribes have decided to be involved in the fighting and have staged a military campaign against ISIS. The conflict between the two sides escalated in the past days when members of the Sinai tribes succeeded to kidnap and kill dozens of militants from the terrorist organization. In late April, the tribes announced kidnapping nine ISIS members who were handed to the Egyptian Army. The tribes also killed eight others in a battle in south Rafah earlier this month. Moussa Al-Delh, a spokesman of the Tarabin tribe, said that the tribe is in war with militants under the leadership of the state.